In February 2018, GMAC’s Alumni Employment Report revealed that 20% and 17% of global business school students enter the products and services and technology sectors after graduation. That placed the two sectors ahead of finance and consulting. This shift is likely down to the exponential rise of tech, as the FAANGS—Facebook, Apple, Amazon, Netflix, and Google—occupy a bed of market capital to the sum of $3.35 trillion. Among them, Amazon is a behemoth when it comes to MBA recruiting. The company is one of the largest MBA employers on many campuses around the globe. The company is active no more so than in Europe. Amazon recruits from top-ranked schools like HEC Paris, INSEAD, and IESE. Last year, 15% of The Lisbon MBA’s graduates landed jobs at the company—so too did 23 MBA graduates from London Business School. BusinessBecause caught up with Dee Clarke, head of European campus recruitment for Amazon and a former MBA admissions director at Spain’s ESADE Business School. She explains how you stand out from the crowd, impress Amazon MBA recruiters, and what is expected of all fledgling Amazonians once they walk through the door on their first day. How can MBA job applicants stand out when applying to Amazon? We look for MBAs who take ownership, who are obsessed with their customers, and who like to think big and deliver results. Often, they are strong problem solvers and analytical thinkers. Applicants who are familiar with and can demonstrate that they embody Amazon's 14 Leadership Principles (which we use daily across the business, and particularly in recruitment, to identify the best talent to work with us) will always impress us. We also look favorably on applicants with an entrepreneurial spirit. Applications from MBAs who have ambitions to set up their own business tend to perform very well in the interview process. At Amazon they are given the ownership to lead their work like they would their own business, except within a huge organization with a global support network, guidance, and security. How important is an MBA internship for potential candidates? At Amazon, we do look favorably on applicants who have completed an MBA internship. However, while this is important, we also look at a candidate’s past work experience, as often this is very relevant. If they are able to show us how they’ve applied leadership skills in past roles to help them ‘earn trust’ and ‘deliver results’, then this will definitely help them stand out. When it comes to our internships, we offer a 10-week summer MBA internship, giving interns the opportunity to own projects from day one. We often hear that they’re both surprised and excited about the level of ownership they have. We look for candidates who can show us a track record of success and a history of delivering results. What they’ve done and achieved is more important than where they’ve been. 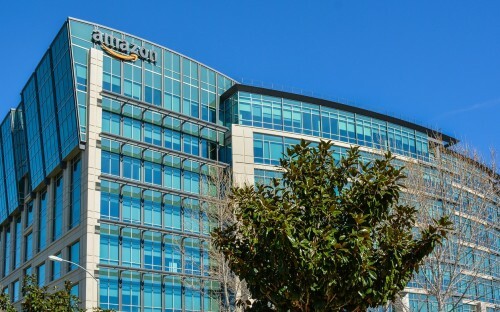 What's the biggest challenge MBAs will face at Amazon? Amazon offers MBA students the opportunity to launch into exciting careers with limitless possibilities. From day one, our MBA graduates are leading teams in our fulfillment centers, working on new, fast-moving products and services, and raising the bar of the customer experience. The responsibility can be challenging, but incredibly rewarding. To ease our MBAs in, we have several programs such as our Pathways Programme, which prepares MBA graduates for senior leadership roles. We also have a Consumer MBA program, which equips participants with the skills and broad experiences they need to become adaptable leaders. We hire MBAs for a variety of different roles across all of our businesses—ranging from roles in our retail teams to product managers in AWS, to leadership roles in our fulfillment network, and finance roles. What key skills should MBAs bring to Amazon? MBAs should be happy to get their hands dirty. If they shy away from a task or feel it’s beneath them, that rings alarm bells for us. Candidates who try to take all the credit for teamwork, or exaggerate their experience, will also tend to be ruled out. We always ask what candidates do outside of their work and studies, because it’s very important to us that they’re naturally curious and actively seeking new opportunities to develop and grow. We want to see they care about building their network and gaining a greater diversity of thought. We’re keen to hire people who are interested in the whole business, not just their remit, and offer value across the board. Speed matters in business, so we look for candidates who think and act quickly and on their feet. This is easy to spot in the interviewing process, where we look for people who respond to questions quickly and confidently, and who complete any practical tasks in excellent time. The test for a strong candidate in the interviewing process is to see whether they have the backbone to disagree with you. I will always ask our candidates questions that I expect to be challenged on. Candidates who disagree respectfully and confidently, and offer an alternative solution, tend to do very well at Amazon. In the Amazon recruitment process, successful candidates are able to explain how an isolated task they’ve completed will impact the business—or even the market—as a whole. This is important because leaders at Amazon need to be inspirational and have a visionary mindset, so that their teams can see how each task directly impacts the business, rather than a mere box-ticking exercise. This brings often brings out the best in people.